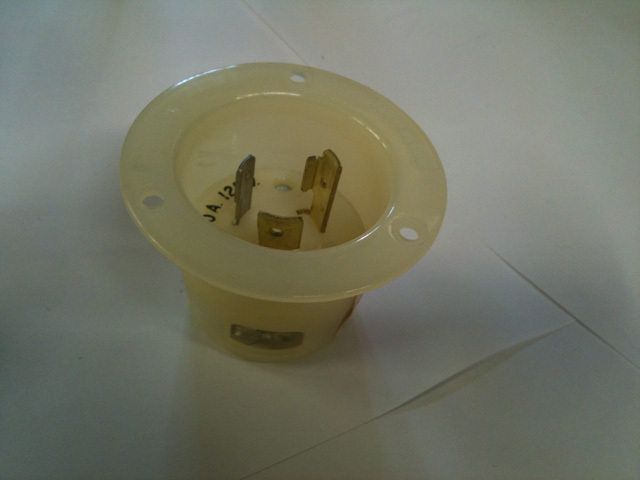 Hubble Part # 231A locking type AC receptacle, rated at 20 Amps, 125 Volts. Use wherever a detachable power cord is desirable. Nylon construction to resist stress cracking. Color coded terminals and "picture window" for easy viewing of connections. New. Uses NEMA L5-20 plug.